Danny Akin, President of Southeastern Baptist Theological Seminary, has recommended the following books on Preaching. What books would you remove or add to his list? Have you read any of the below titles? What did you think of it? Azurdia, Arturo. Spirit Empowered Preaching: Involving the Holy Spirit in Your Ministry. Fearn: Christian Focus, 2000. Broadus, John A. On the Preparation and Delivery of Sermons. Revised by Vernon L. Stanfield. 4th ed. New York: Harper, 1979. Chapell, Bryan. Christ-centered Preaching: Redeeming the Expository Sermon. Grand Rapids: Baker, 1994. Clowney, Edmund. Preaching Christ in all of Scripture. Wheaton: Crossway, 2003. Goldsworthy, Graeme. Preaching the Whole Bible as Christian Scripture: The Application of Biblical Theology to Expository Preaching. Grand Rapids: Eerdmans, 2000. Heisler, Greg. 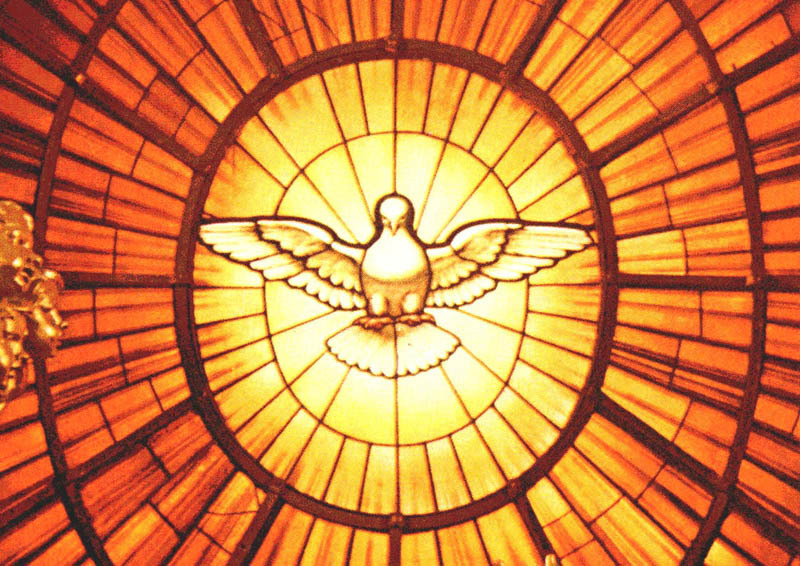 Spirit-Led Preaching: The Holy Spirit’s Role in Sermon Preparation and Delivery. Nashville: Broadman, 2007. Lloyd-Jones, D. Martyn. Preaching and Preachers. Grand Rapids: Zondervan, 1971. MacArthur, John., Jr. Rediscovering Expository Preaching. Dallas: Word, 1992. McDill, Wayne. The 12 Essentials for Great Preaching. 2nd. ed. Nashville: Broadman, 2006. _______. The Moment of Truth: A Guide to Effective Sermon Delivery. Nashville: Broadman & Holman, 1999. Olford, Stephen F. with David Olford. Anointed Expository Preaching. Nashville: Broadman & Holman, 1998. Piper, John. The Supremacy of God in Preaching. rev. ed. Grand Rapids: Baker, 2004. Richard, Ramesh. Preparing Expository Sermons. Grand Rapids: Baker, 2001. Robinson, Hadden W. Biblical Preaching. Grand Rapids: Baker, 1980. Rummage, Stephen. Planning Your Preaching: A Step-by-Step Guide for Developing a One-Year Preaching Calendar. Grand Rapids: Kregel, 2002. Shaddix, James L. The Passion Driven Sermon. Nashville: Broadman, 2003. Spurgeon, Charles. Lectures to My Students. repr. Grand Rapids: Zondervan, 1954. Stott, John R.W. Between Two Worlds: The Art of Preaching in the Twentieth Century. Grand Rapids: Eerdmans, 1982. Vines, Jerry. Power in the Pulpit: How to Prepare and Deliver Expository Sermons. Chicago: Moody, 1999. York, Herschel W. and Bert Decker. Speaking with bold Assurance. Nashville: Broadman & Holman, 2001. Danny Akin, President of Southeastern Baptist Theological Seminary, has recommended the following books on Worship. Allen, Ronald, and Gordon Borror. Worship: Rediscovering the Missing Jewel. Portland: Multnomah, 1982. Berkley, James D. Leadership Handbook of Preaching and Worship. Grand Rapids: Baker, 1992. Best, Harold. Music Through the Eyes of Faith. San Francisco: Harper, 1993. Dawn, Marva. Reaching Out Without Dumbing Down. Grand Rapids: Eerdmans, 1995. Eskew, and McElrath. Sing With Understanding. Nashville: Church Street, 1995. Frame, John M. Worship in Spirit and Truth. Phillipsburg, NJ: P & R Publishing, 1996. ________ . Contemporary Worship Music. Phillipsburg, NJ: P & R Publishing, 1997. Hustad, Don. Jubilate II: Church Music in Worship and Renewal. Carol Stream, IL: Hope, 1993. Leisch, Barry. The New Worship. Grand Rapids: Baker, 1996. Martin, Ralph P. Worship in the Early Church. Grand Rapids: Eerdmans, 1989. _______ . The Worship of God: Some Theological, Pastoral, and Practical Reflections. Grand Rapids: Eerdmans,1988. Peterson, David. Engaging with God: A Biblical Theology of Worship. Grand Rapids: Eerdmans, 1992. Schaeffer, Francis. Art & the Bible. Downers Grove: IVP, 1973. Senn, Frank C. Christian Liturgy: Catholic and Evangelical. Minneapolis: Fortress, 1997. Segler, Franklin M. Christian Worship. Nashville: Broadman & Holman, 1996. Underhill, Evelyn. Worship. Guildford, England: Eagle, 1991. Wainwright, Geoffrey. Doxology: The Praise of God in Worship, Doctrine, and Life. New York: Oxford, 1980. Webber, Robert E. Rediscovering the Missing Jewel. Peabody, MA: Hendrickson, 1996. ________ . Blended Worship. Peabody, MA: Hendrickson, 1996. ________ . Worship Old and New. Grand Rapids: Zondervan, 1994. ________ . Worship is a Verb. Nashville: Abbott/Martyn, 1992. Westermeyer, Paul. Te Deum: The Church and Music. Minneapolis: Fortress, 1998. White, James Emery. Opening the Front Door: Worship and Church Growth. Nashville: Broadman, 1992. White, James F. A Brief History of Christian Worship. Nashville: Abingdon, 1993. _______ . Introduction to Christian Worship. rev. ed. Nashville: Abingdon, 1990. Wright, N. T. For All God’s Worth. Grand Rapids: Eerdmans, 1997. Danny Akin, President of Southeastern Baptist Theological Seminary, has recommended the following general reference works for Bible study. Brand, Chad, Trent Butler, and Charles Draper, eds. Holman Illustrated Bible Dictionary. Nashville: Broadman, 2003. Brisco, Thomas. Holman Bible Atlas. Nashville: Broadman & Holman, 1998. Dockery, David, ed. The Holman Bible Handbook. Nashville: Broadman, 1992. Douglas, J. D., ed. The Illustrated Bible Dictionary. 3 vols. Downers Grove: IVP, 1980. Elwell, Walter, gen. ed. Baker Encyclopedia of the Bible. Grand Rapids: Baker, 1988. Holman Christian Standard Bible. Nashville: Broadman & Holman, 2004. MacArthur, John. The MacArthur Study Bible. Nashville: Word, 1997. Smith, Marsha Ellis. The Holman Book of Biblical Charts, Maps, and Reconstructions. Nashville: Broadman, 1993. Strong, James, ed. The New Exhaustive Concordance. Nashville: Nelson, 1985. Tenney, Merrill. The Zondervan Pictorial Bible Encyclopedia. 5 vol. Grand Rapids: Zondervan, 1976. The New American Standard Bible. Rev. ed. Produced by the Lockman Foundation. Anaheim: FoundationPublications, 1995. Young, Robert, ed. Young’s Analytical Concordance. Nashville: Nelson, 1982. Looking for the best books to supplement your Old Testament studies? Here are some book recommendations from Mark Dever, Paul Copan, Daniel Akin and others. The following are recommended for further reading in How Do You Know You’re Not Wrong? : Responding to Objections That Leave Christians Speechless , by Paul Copan. Why Are Some Old Testament Laws Harsh And Oppressive? Does The Old Testament Condone Slavery? Are Old Testament Prophecies Taken Out Of Context In The New Testament? These Old Testament titles appear on Westminster Theological Seminary’s suggested reading list for those interested in becoming students at WTS. Dillard, Raymond B. and Tremper Longman, III. An Introduction to the Old Testament. Grand Rapids, MI: Zondervan, 2006. Waltke, Bruce K., and Charles Yu. An Old Testament Theology: A Canonical and Thematic Approach. Zondervan, 2006. Longman, Tremper III. How to Read the Psalms. Downers Grove, IL: InterVarsity Press, 1988. Armerding, Carl E. The Old Testament and Criticism. Spring Arbor Distributors. Young, E.J. “The Authority of the Old Testament.” In The Infallible Word, Edited by Stonehouse, N.B., and Paul Wooley, 55-91. Phillipsburg, N. J.: Presbyterian and Reformed Publishing Co, 2002. Kline, Meredith G. Kingdom Prologue. Overland Park, KS: Two Age Press, 2000. Kline, Meredith G. Images of the Spirit. Grand Rapids, Michigan: Baker Book House, 1980. Vos, Geerhardus. The Eschatology of the Old Testament. Phillipsburg, NJ: P&R Publishing, 2001. Introductions and Surveys of the Old Testament. Archer, Gleason L., Jr. A Survey of Old Testament Introduction. Rev. ed. Chicago: Moody, 1994. Dillard, Raymond B., and Tremper Longman III. An Introduction to the Old Testament. Grand Rapids: Zondervan, 1994. Harrison, R.K. Introduction to the Old Testament. Grand Rapids: Eerdmans, 1969. Hill, Andrew, and John Walton. A Survey of the Old Testament. 2d ed. Grand Rapids: Zondervan, 2000. Lasor, William, David A. Hubbard, and Frederick W. Bush. Old Testament Survey: The Message, Form and Background of the Old Testament. 2d ed. Grand Rapids: Eerdmans, 1996. Leithart, Peter. A House for My Name. Moscow: Canon, 2000. Young, Edward J. An Introduction to the Old Testament. New rev. ed. Grand Rapids: Eerdmans, 1965.
de Vaux, R. Ancient Israel: Its Life and Institutions. 2 vols. New York: McGraw-Hill, 1961. Easley, Kendall H. Holman Illustrated Guide to Biblical History. Nashville: Broadman, 2003. Frank, Harry Thomas. Discovering the Biblical World. New York: Harper, 1975. Harrison, R.K. Old Testament Times. Grand Rapids: Eerdmans, 1970. Hayes, John H., and J. Maxwell Miller, eds. Israelite and Judean History. Philadelphia: Westminster, 1977. Kaiser, Walter C. A Survey of Israel’s History. Nashville: Broadman & Holman, 1997. Long, V. Phillips, Tremper Longman, III, and Iain W. Provain. A Biblical History of Israel. Louisville: Westminster John Knox Press, 2003. Merrill, Eugene H. Kingdom of Priests: A History of Old Testament Israel. Grand Rapids: Baker, 1996. Walton, John H. Chronological Charts of the Old Testament. Grand Rapids: Zondervan, 1994. Brown, Francis. The New Brown-Driver-Briggs-Gesenius Hebrew-English Lexicon. Peabody, MA: Hendrickson, 1979. Harris, R. Laird, Gleason L. Archer, Jr., and Bruce K. Waltke, eds. Theological Wordbook of the Old Testament. 2 vols. Chicago: Moody, 1980. Jenni, Ernst, and Claus Westermann, eds. Theological Lexicon of the Old Testament. Translated by M. E. Biddle. Peabody, MA: Hendrickson, 1997. Koehler, Ludwig and Walter Baumgartner. The Hebrew and Aramaic Lexicon of the Old Testament. 5 vols. New York: E. J. Brill, 1994-2000. Ben-Tor, Amnon, ed. The Archaeology of Ancient Israel. New Haven: Yale University Press, 1992. Fagan, Brian M. The Oxford Companion to Archaeology. New York: Oxford, 1996. Mazar, Amihai. Archaeology of the Land of the Bible—10,000-586 B.C.E. New York: Doubleday, 1990. Millard, Alan. Treasures from Bible Times. Tring, England: Lion, 1985. Schoville, K. N. Biblical Archaeology in Focus. Grand Rapids: Baker, 1978. Thompson, John A. The Bible and Archaeology. Rev. ed. Grand Rapids: Eerdmans, 1972. Yamauchi, Edwin. The Stones and the Scriptures: An Introduction to Biblical Archaeology. Repr. Grand Rapids: Baker, 1981. Dempster, Stephen. Dominion and Dynasty: A Biblical Theology of the Hebrew Bible. Downers Grove: IVP, 2003. Dumbrell, William J. The Faith of Israel: A Theological Survey of the Old Testament. Grand Rapids: Baker, 2001. Eichrodt, Walther. Theology of the Old Testament. 2 vols. Translated by J.A. Baker. Philadelphia: Westminster, 1961-67. Fuller, Daniel. The Unity of the Bible: Unfolding God’s Plan for Humanity. Grand Rapids: Zondervan, 2000. Goldingay, John. Old Testament Theology: Israel’s Gospel. Downers Grove: IVP, 2003. Goldsworthy, Graeme. According to Plan: The Unfolding Revelation of God in the Bible. Downers Grove: IVP, 2002. Goldsworthy, Graeme. The Goldsworthy Trilogy. Waynesboro, GA: Send the Light, 2000. House, Paul. Old Testament Theology. Downers Grove: IVP, 1998. Kaiser, Walter C., Jr. Toward an Old Testament Theology. Grand Rapids: Baker, 1978. Longman, Tremper, III. Immanual in Our Place: Seeing Christ In Israel’s Worship. New Jersey: P & R, 2001. __________. Making Sense of the Old Testament: Three Crucial Questions. Grand Rapids: Baker, 1999. Martens, Elmer A. God’s Design: A Focus on Old Testament Theology. 2d ed. Grand Rapids: Baker, 1994. Ortlund, Raymond C. God’s Unfaithful Wife: A Biblical Theology of Spiritual Adultery. Downers Grove, IVP, 2003. Sailhammer, John H. Introduction to Old Testament Theology: A Canonical Approach. Grand Rapids: Zondervan, 1995. Von Rad, Gerhard. Old Testament Theology. 2 vols. Translated by D.M.G. Stalker. New York: Harper & Row, 1962-1965. Vos, Gerhardus. Biblical Theology: Old and New Testaments. Edinburgh: Banner of Truth, 1996. Alter, Robert. The Art of Biblical Poetry. New York: Basic Books, 1985. Alexander, T. Desmond. From Paradise to the Promised Land: An Introduction to the Pentateuch, 2nd ed. Grand Rapids: Baker, 2002. Armerding, Carl E. The Old Testament and Criticism. Grand Rapids: Eerdmans, 1983. Blenkinsopp, Joseph. A History of Prophecy in Israel. Rev. ed. Louisville: Westminster/John Knox, 1996. Botterweck, G. Johannes, and H. Ringgren, eds. Theological Dictionary of the Old Testament. 11 vols. to date. Grand Rapids: Eerdmans, 1974-1998. Bullock, C. Hassell. An Introduction to the Old Testament Prophetic Books. Chicago: Moody, 1986. ________ . An Introduction to the Old Testament Poetic Books. Chicago: Moody, 1979. Chisolm, Robert B., Jr. Handbook on the Prophets. Grand Rapids: Baker, 2002. Collins, John J., ed. The Encyclopedia of Apocalypticism. New York: Continuum, 1998. Duguid, Iain M. Living in the Grip of Relentless Grace: The Gospel in the Lives of Isaac and Jacob. New Jersey: P & R Press, 2002. Fyall, Robert. Now My Eyes Have Seen You: Images of Creation and Evil in the Book of Job. Downers Grove: IVP, 2002. Goldingay, John. Approaches to Old Testament Interpretation. Downers Grove: IVP, 1981. Howard, David M. An Introduction to the Old Testament Historical Books. Chicago: Moody, 1993. Jobes, Karen H. and Moisés Silva. Invitation to the Septuagint. Grand Rapids: Baker, 2000. Kaiser, Walter C., Jr. Toward Rediscovering the Old Testament. Grand Rapids: Zondervan, 1987. McConville, Gordon. A Guide to the Prophets. Vol. 4 of Exploring the Old Testament. Downers Grove: IVP, 2003. Millar, J. Gary. Now Choose Life: Theology and Ethics In Deuteronomy. Downers Grove: IVP, 2000. Murphy, Roland K. The Tree of Life: An Exploration of Biblical Wisdom Literature. New York: Doubleday, 1990. Stuart, Douglas. Old Testament Exegesis: A Primer for Students and Pastors. 2d ed. Philadelphia: Westminister, 1984. VanGemeren, Wilhelm A., ed. New International Dictionary of Old Testament Theology and Exegesis. 5 vols. Grand Rapids: Zondervan, 1997. Webb, Barry C. Five Festal Garments: Christian Reflections on the Song of Songs, Ruth, Lamentations, Ecclesiastes, Esther. Downers Grove: IVP, 2001. Wenham, Gordon. A Guide to the Pentateuch. Vol. 1 of Exploring the Old Testament. Downers Grove: IVP, 2003. Whybray, Robert N. The Making of the Pentateuch: A Methodological Study. Sheffield: JSOT Press, 1994. What are some of your favorite books on missions? Danny Akin, President of Southeastern Baptist Theological Seminary, has recommended the following books on Christian Missions. Caner, Emir and Ergun Caner. Unveiling Islam: An Insider’s Look at Muslim Life and Beliefs. Grand Rapids: Kregel, 2002. _______. More than a Prophet: An Insider’s Response to Muslim Beliefs about Jesus and Christianity. Grand Rapids: Kregel, 2003. Carey, William. An Enquiry. Dallas: Criswell Publications, 1987 (1792 edition). Glasser, Arthur F. Annoucing the Kingdom: The Story of God’s Mission in the Bible. Grand Rapids: Baker, 2003. Hesselgrave, David J. Communicating Christ Cross-Culturally. Grand Rapids: Zondervan, 1991. _______. Planting Churches Cross-Culturally. Grand Rapids: Baker, 1980. Hiebert, Paul G. Anthropological Insights for Missionaries. Grand Rapids: Baker, 1985. Johnstone, Patrick. Operation World. Grand Rapids: Zondervan, 1993. Kostenberger, Andreas J. and Peter T. O’Brien. Salvation to the Ends of the Earth: A Biblical Theology of Mission. Downers Grove: IVP, 2001. Lingenfelter, Sherwood G. and Marvin Keene Mayers. Ministering Cross-Culturally: An Incarnational Model for Personal Relationships. Grand Rapids: Baker, 1986. Peters, George W. A Biblical Theology of Missions. Chicago: Moody, 1972. Peskett, Howard and Ramachandra Vinoth. The Message of Mission: The Glory of Christ in all Space and Time. Downers Grove: IVP, 2003. Piper, John. Let the Nations be Glad: The Supremacy of God in Missions. Grand Rapids: Baker, 1993. Wagner, C. Peter. Strategies for Church Growth. Ventura, CA: Regal Books, 1987. Winter, Ralph D., ed. Perspectives on the World Christian Movement. Pasadena: William Carey Library, 1981. Grace Baptist Church of Cape Coral, Florida (pastored by Tom Ascol) shares on its website the following list of recommended books on Missions. The following books on Evangelism and Missions are recommended in the publication Beginning Your Theological Library published by the Criswell College.